Glass jewelry and chain maille jewelry are both unique in their own ways. In this beautiful chain maille pendant, those two styles are combined to create a stunning piece that will look gorgeous around any neck! 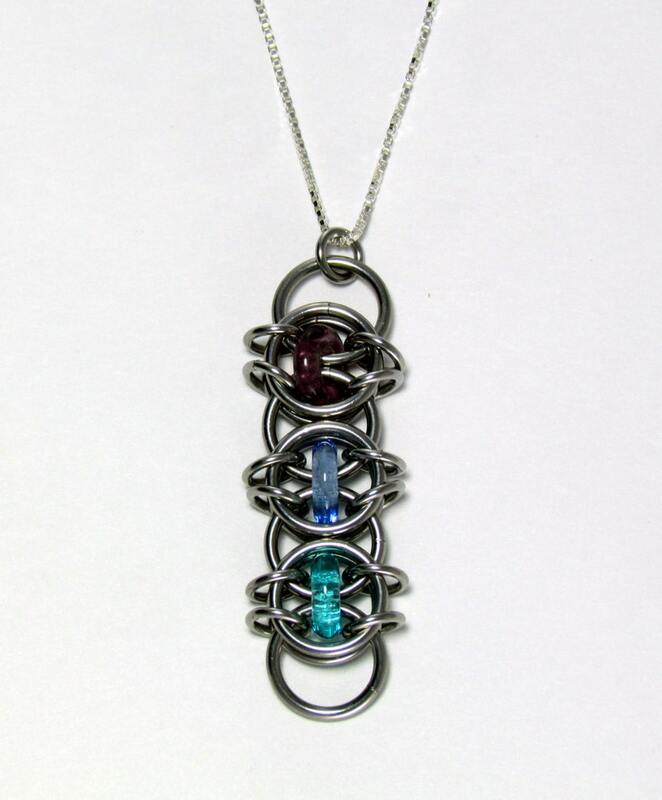 This glass pendant was crafted out of stainless steel jump rings, as well as glass rings in amethyst purple, light sapphire blue, and turquoise. It measures approximately 2 1/4 inches long and 5/8 inch wide.